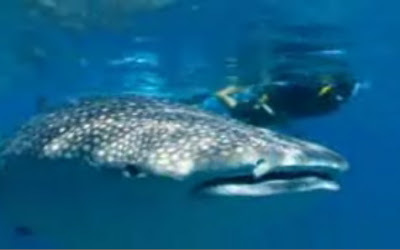 All you lucky people who swim with and photograph Whale Sharks can now help to track and document their behavioral existence. A Marine Biologist has invented a software optimalization photo tagging system that anyone can contribute to.The information you submit will be used in mark-recapture studies to help with the global conservation of this threatened species. The ECOCEAN Whale Shark Photo-identification Library is a visual database of whale shark (Rhincodon typus) encounters and of individually catalogued whale sharks. The library is maintained and used by marine biologists to collect and analyse whale shark encounter data to learn more about these amazing creatures. The Library uses photographs of the skin patterning behind the gills of each shark and any scars to distinguish between individual animals. Cutting-edge software supports rapid identification using pattern recognition and photo management tools.